Our Photography Dive Travel page is the area where you will find the latest information for upcoming workshops, seminars, photo shootouts, and dive travel that the Underwater Tribe organizes each year. We organize two different types of group travel: a) dedicated photo workshops in top resorts and b) liveaboard group trips throughout SE Asia and we have separated the two types of trips on the website to avoid confusion. 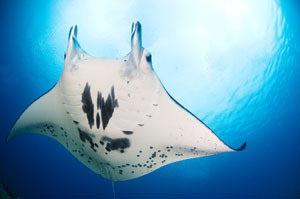 We have created pages for each upcoming Underwater Tribe trip and these can be found in the drop down list at the top of the page or listed below, current trips include Raja Ampat, Ambon, Lembeh Strait, the Banda Sea, and Komodo National Park If you are interested in learning more about Underwater Photography and Video or traveling with like minded divers who enjoy diving with other photographers then you may want to keep this page bookmarked; we will be adding a lot of trips over the next few years as the Underwater Tribe expands. Please keep in mind that when we are not leading trips to other areas, we are constantly running trips around our local island, Bali! We would love if you could join the Underwater Tribe for a few days of diving in Bali either as a student or as someone who wants to dive with great guides who understand how to dive with photographers. Our hallmarks are mature diving for photographers and experienced divers who are after a bit of pampering by diving in small groups with eagle eyed guides who take pride in their attention to detail. Please check out the Underwater Tribe website for a more complete run down of what we offer for upcoming group dive travel and underwater photography workshops. Komodo is one of our favourite diving destinations in Indonesia as it includes such a dense and varied mix of schooling fish, healthy coral, and lots of invertebrates for macro afficiondos. Highlights of the itinerary will include Cannibal Rock and interacting with Komodo dragons in Horseshoe Bay, the Mantas of Manta Alley and other manta sites, black sand diving at Sangeang Volcano, and diving on the rich coral reefs that have made Komodo famous. 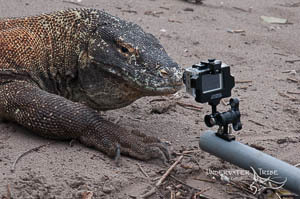 For photographers, the Komodo itinerary offers the perfect mix of both macro and wide-angle photo opportunities with a plethora of muck and critter diving as well as healthy coral gardens and a large manta population. Late September and early October is one of the best times to dive in Komodo as many of the other liveaboards leave the area for Raja Ampat , meaning there will be a lot less boats in the area!